Observer > 2019 > April > Philosophy and Psychological Science: Let’s Revive the Cognitive Revolution! Valeria Giardino is the ultimate multi-multi-multi. Or inter- inter- inter-. 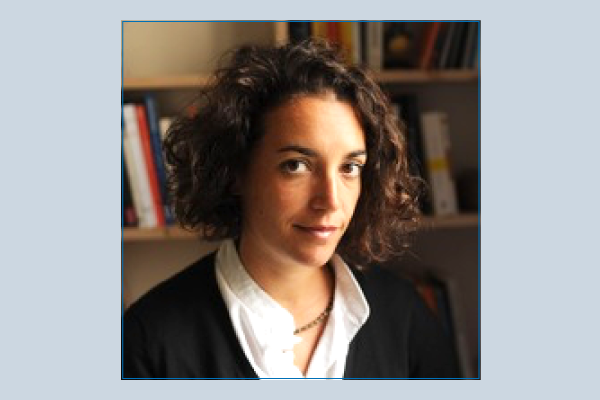 She is multi-disciplinary, multi-national, multi-lingual, an Italian philosopher who collaborates with psychologists, a CNRS researcher in Nancy (France) at the Henri Poincaré Archives, University of Lorraine, with previous research positions in the US, the UK, Spain, and Germany. Characteristically, she has brought that breadth and depth to bear on broad issues of interest to both philosophy and psychological science: philosophy of science, logic, epistemology, and mathematics. She has put forth a new vision and new approaches to the study of scientific, especially mathematical, reasoning. Her work has elegantly shown ways in which mathematical reasoning relies on nonverbal tools for thought, in particular diagrams and gestures. Her vision and insights and prolific output have made her a popular speaker at academic meetings. There are many views today about what the relationship between philosophy and psychological science is and about what this relationship (if any) ought to be. Be that as it may, it is a fact that philosophy and psychological science have already been in close contact in the development of cognitive science. That history can teach us something. Given my background and despite the fact that I am aware that other topics may be relevant as well, I will focus in particular on the philosophical research that has been devoted to the nature of (scientific) thinking. As it is well known, at the turn of the 20th century, philosophers aimed at identifying the laws of thought; in fact, many argued that the tool that had just been invented at the time — contemporary logic — did just that. It should be noted that this approach, starting from the work of the German philosopher Frege, was based on a strong anti-psychologism: objectivity of thought had to be preserved and therefore could not be based on any kind of singular subjective representation that psychology was in the position to study; only an appropriate artificial language devoid of ambiguities could capture the nature of the (human, rational, linguistic) mind. But then came the 1950s, the years of the “Cognitive Revolution.” As Bruner summed up years later, this revolution focused upon the symbolic activities that human beings employ in “constructing and in making sense not only of the world, but of themselves” (Bruner, 1990, p. 2). It was a time when sister disciplines had to join their forces: psychology and the human and social sciences had seats next to each other in an interdisciplinary cognitive perspective. However, according to Bruner, at some point the attention shifted from the construction of meaning to the processing of information. The key factor in the shift was the introduction of computation as the ruling metaphor and of computability as a necessary criterion of a good theoretical model: the computational theory of the mind became the paradigm. First apart, then together, then apart again: philosophy and psychology did have a complicated relationship! It should be noted though that for the hero of computability, Turing, the hope was that one day humans would be able to build machines that would eventually “compete with men in all purely intellectual fields” (Turing, 1950, p. 460). I bet that he would have wanted the sister disciplines to stay together. What happened next? More changes. In psychology, the computational theory of the mind has revealed its limitations. As Hutchins (1995) pointed out, in the same spirit as Bruner, originally the object of study was a cognitive system that involved a person visually and manually interacting with a material world of symbols to manipulate; Turing’s great discovery was that such embodied actions and the world on which to act can be idealized, so that they can both be eliminated. In Hutchins’ words, the brain was removed and replaced with a computer and the surgery was a success; what remained was the application of rules to strings of symbols, with an apparently unintended side effect: “the hands, the eyes, the ears, the nose, the mouth, and the emotions all fell away” (Hutchins, 1995, p. 363). The subsequent decades saw a growing feeling that these exact elements needed to get back in the picture. 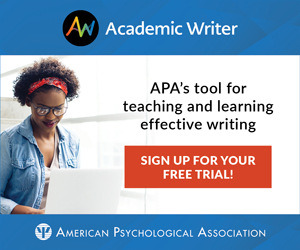 Psychological science expanded, by returning to examine the roles of spatial cognition, vision, and action for thinking. To give just a few examples, pioneering work was done in the study of the cognitive — but not necessarily linguistic — bases of mathematical knowledge (e.g. Dehaene, 1997; Butterworth, 1999; Lakoff & Nunez, 2001), of the role of gestures for thinking (e.g. Goldin-Meadow, 2003), or of spatial thinking for representing time (e.g. Clark, 1973; Casasanto & Borodistky, 2008). Around the same time in philosophy, a “practical turn” occurred, in contrast to the linguistic turn at the beginning of the 20th century. Starting in the 1970s, philosophy of science moved away from the definition of abstract and general theories of scientific knowledge towards the investigation of the concrete work that scientists are engaged in everyday. Philosophical analyses became less abstract, in a search for the building blocks necessary to more complex practices and for possible cognitive invariances across them. For example, some scholars began to give a role to a cognitive agent in the epistemology for mathematics (see for reference Giaquinto, 2007 and Ferreirós, 2015). Now let me return to the question I began with. What ought to be the relationship between philosophy and psychological science now? There are good reasons to believe that this is the time for renewed cooperation. In fact, it is already happening, with important results, notably showing the limits of approaches to complex practices of thought by focusing only on their neurological underpinnings. Recently, some theoretical frameworks are working to specify the claim that cognition must be regarded as an “extended” process going beyond the limits of our brain. For example, according to Menary’s cognitive integration view, the emergence of abstract symbolic thought in humans should be explained by giving an evolutionary and developmental case for the plasticity of the brain in redeploying older neural circuits for new, culturally specific functions, following a process of enculturation (Menary, 2015). In her forthcoming book, Tversky (2019) argues that motion, actions, and bodies are fundamental to the way we think. What’s next? What should be done in order to nurture this cooperation? Both communities are interested in the study of advanced practices of thought, and their work can be conceived as complementary; the effort is to find a good compromise between the philosophers’ urge for generality and encompassing paradigms and the psychological scientists’ careful investigation of the processing details. There are (at least) two conditions for a successful interaction. First, philosophers should engage more with empirical research and psychological scientists with the definition of bigger pictures. Second, we need to secure a shared terminology and a common set of problems in order to start any fruitful dialogue. The challenge is to unveil the cognitive underpinnings of human concrete practices, and interaction should be (also institutionally) encouraged. The hope is that this would result in blurring away disciplinary borders and getting once more to true cognitive science. To sum up in a motto: Let’s renew the Cognitive Revolution! Casasanto & Boroditsky (2008). Time in the mind: Using space to think about time. Cognition 106: 579–593. Clark, H. H. (1973). Time, space, semantics, and the child. In T. E. Moore (Ed. ), Cognitive development and the acquisition of language. Pp. 27-63. New York: Academic Press. Dehaene, S. (1997). The number sense. Oxford University Press, Oxford. Ferreirós, J. (2015). Mathematical knowledge and the interplay of practices. Princeton: Princeton University Press. Giaquinto, M. (2007). Visual thinking in mathematics: An epistemological study. Oxford: Oxford University Press. Lakoff, G. & Nunez, R. (2001). Where mathematics comes from: How the embodied mind brings mathematics into being. New York: Basic Books. Menary, R. (2015). Mathematical cognition – A case of enculturation. In T. Metzinger & J. M. Windt (Eds). Open MIND: 25(T). Frankfurt am Main: MIND Group. Turing, A. M. (1950). Computing machinery and intelligence. Mind, 49: 433-460. Tversky, B. (2019). Mind in motion. How action shapes thought. New York: Basic Books. Fuchs, Th. (2018). Ecology of the brain. The phenomenology and biology of the embodied mind. Oxford University Press. It is a contribution within the enactive and embodied approach of cognitive psychology and neuropsychology, and based on an enormous amount of English and German publications. Fuchs also shows that much of the new insights in this literature is a reinvention of what had already been thought through by the phenomenologists Husserl and Merleau-Ponty in the first half of the 20th century, without denying – of course – that the more recent authors (among whom Fuchs himself) have had much to add to their insights. Bennett, M.R. & Hacker, P.M.S. (2003), Brooks, R.A. (1991), Dreyfus, H. & Taylor, C. (2015), Edelman, G.M (2004), Jonas H. (2001), O’Regan, J.K. & Noë, A. (2001), Rockwell, W.T. (2005), Thompson, E. (2007), Varela, F., Thompson, E., & Rosch, E. (1991). But many more are mentioned. For detailed references, please consult his book. Noë, A. (2009). Out of our head. Why you are not your brain, and other lessons from the biology of consciousness. New York: Hill and Wang.